In modern Britain, barely a day goes by without a politician, pundit, paper or pub-goer launching into a tirade about the problem with immigrants and what should be done to tackle it. High unemployment, overcrowded schools, benefit scrounging, housing shortages, stretched healthcare services ... pretty much every issue facing the country today seems to be pinned on immigration - but is it really a problem at all? 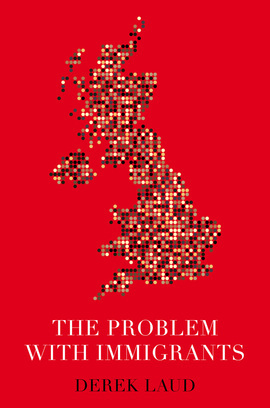 In this fascinating book, Derek Laud sets out to challenge the widespread misconceptions and prejudices surrounding those who have relocated to the UK. He examines the social, economic and cultural impact of immigration across the centuries, and addresses the question of why some ethnic communities struggle here while others thrive. An insightful, thought-provoking and timely examination of one of the most significant issues of our time, this is an indispensable and refreshingly nuanced contribution to the immigration debate. Laud’s is an important voice, telling the other story of immigration to the UK – the story of alchemy between peoples, transformation, love and the making and remaking of Great Britain.